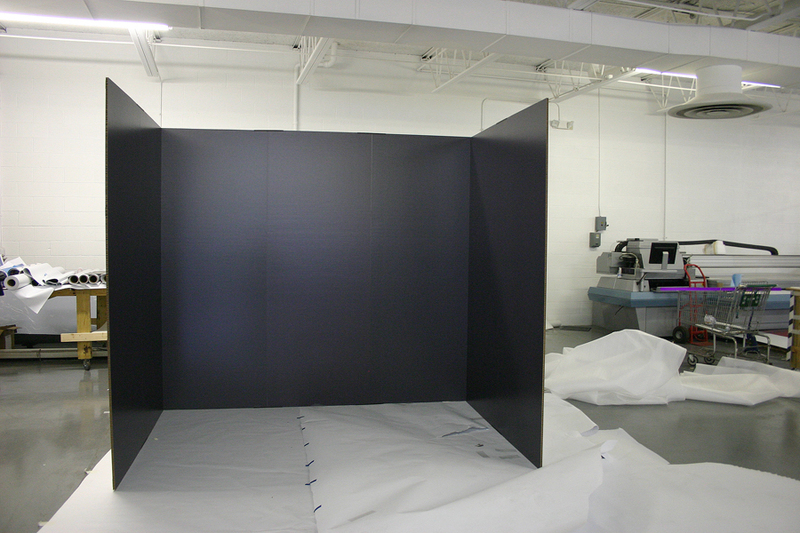 “Wrapping” things up for NSS! We are just one week away from the first day of of National Stationery Show, the nation’s largest stationery show – a four-day event filled with lovely goodies. 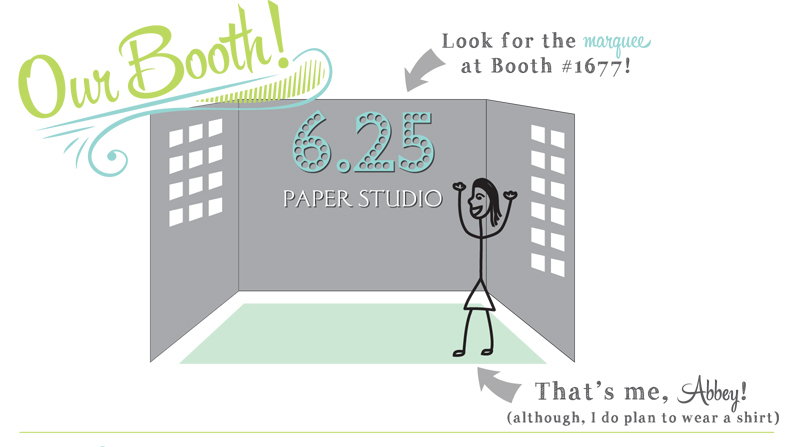 6.25 is attending this year as an exhibitor (Booth #1677), a buyer (for our store in Grand Rapids) and blogger (for Neenah Paper’s blog). I do wish I had more time to walk this show, but my priority will be at our booth, showcasing the new items that I am SO excited to debut. I’ve been busy putting the final touches on our new wedding album, working with printers on new types of product like mini notebooks and giftwrap, designing and preparing the booth and creating a comprehensive 36-page catalog (our first real catalog!). but it will all come down to those four days… wish us luck! 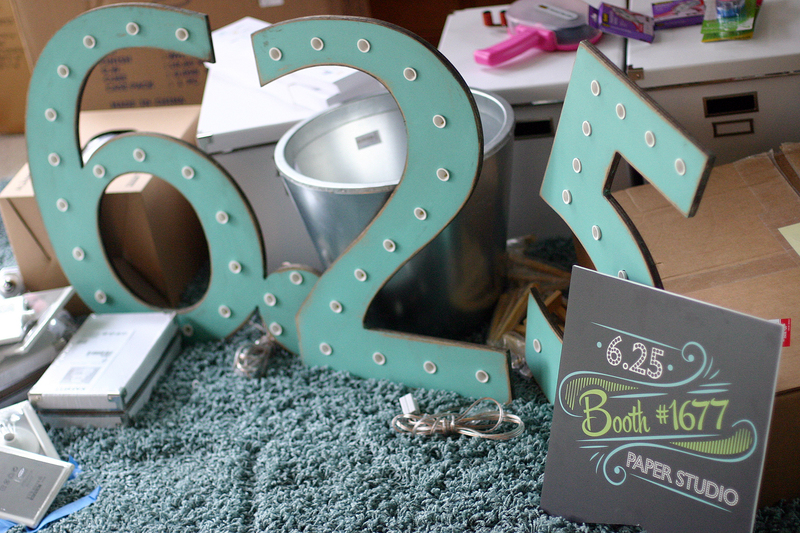 I’ve had a lot of fun designing our booth this year — more on that later! We even got some press around our extensive Trade Show (inspiration) Pinterest Board! but cannot attend the show this year, I will happily mail you the catalog! I realize the last post also welcomed a floral-inspired wedding invitation, but I was finding so many great images on Pinterest for our lovely Marcus that I couldn’t help but continue the theme! Marcus is very playful, so playful that it could even be a birthday or bar mitzvah invite. I struggled with whether or not this would be a keeper in the new album, but after playing with the colors and imagining ALL the possible variations (Marcus utilizes 6 ink colors! ), I feel like this will be great design for many brides. Flowers are a huge part of the wedding day, and if you have a love for floral, this would be a perfect fit! Check out our Pinterest Inspiration board, filled with an abundance of floral lovelies! Oh, and want to match your postage? 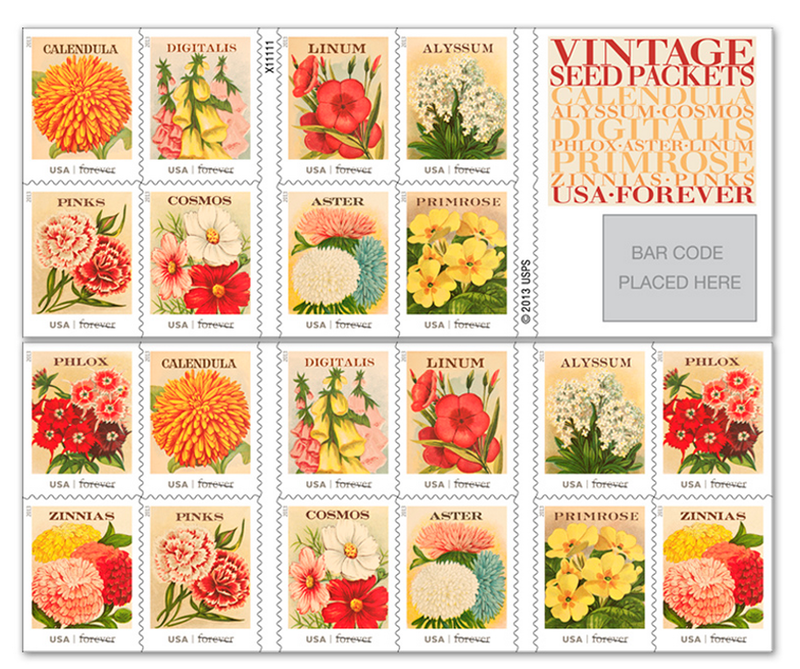 USPS is getting in on the floral theme this year, too!